The queen of hill stations is about 89 km from Haridwar and the salubrious climate and deep woods make it an ideal hill station. The name, Mussoorie, derives its name from plants of 'Mussoorie', found in abundance here. After its discovery, this place gradually developed as a center of education, business, tourism and beauty. 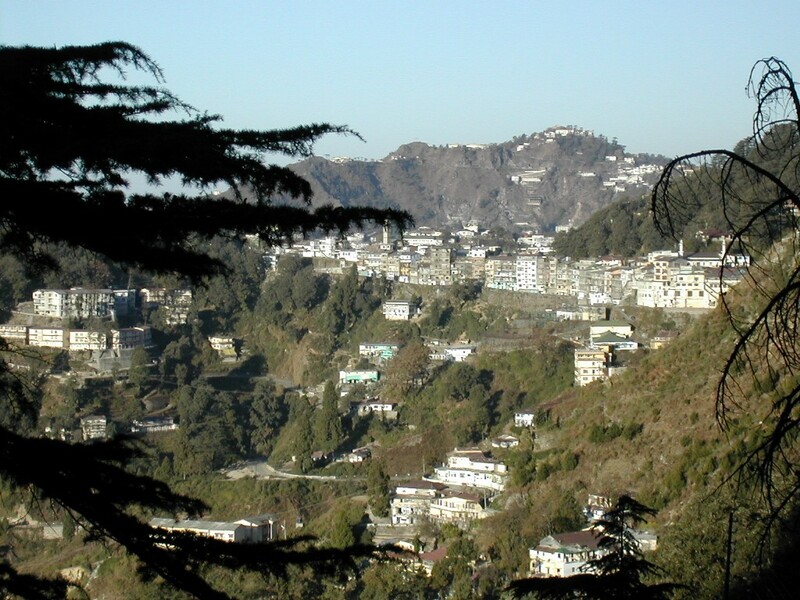 The hill station of Mussoorie came into being around the 1830s. What began as a small settlement grew into a large station to turn into a hill station of today overlooking the sprawling Doon valley and the city of Dehradun. Mussoorie was not named after a place in England. The British were content to follow the name given by the hill-folk. Mussoorie, at a height of around 7000 ft above the sea level, straddles a ridge in the Garhwal Himalayas, developing into a major tourism destination. Rickshaw rides down the Mall, and around the wooded road of Camel's Back with its timeless views of the northern ranges of the Himalayas, are a pleasure which is virtually unique to Mussoorie. Younger, and younger-at-heart, people prefer to amble down the Mall. And, in keeping with our informal atmosphere, it is fashionable to eat roasted peanuts while you amble. These are bought from barrows and little roadside vendors who keep them around little terracotta Gharries-pots filled with glowing, smoking, faggots. One of the barrows offers a bonus; it stands beneath a hoarding depicting Mussoorie's attractions so that you can get the lay of the land while you crack-crunch-relish. 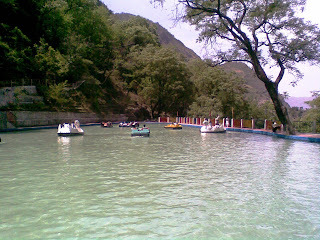 This lake is located some 7-kms on the highway to Dehradun. The gateway of this lake appears to be welcoming tourists from Dehradun. One can enjoy boating at this lake. One also gets a very good view of the Dun Valley from this lake. The villages surrounding Mussoorie can also be seen from here. Lal Tibba is the highest point in Mussoorie which is also the oldest inhabited place in Mussoorie. Nag Tibba is 55-km from Mussoorie and is very good place for trekking. Nag Tibba, as it is called, is the highest place around Mussoorie. Thick dense forests surround it. 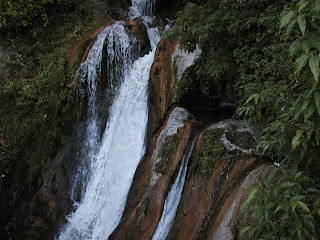 Probably the most famous falls of the country, the Kempty falls are around 15 kms away from Mussoorie. This perennial cascade is a mountain stream which has cut and sculpted its way through great boulders and down rock faces offering a stimulating, drenching, shower when it reaches a sandy basis before rushing on. One can find this place filled with tourists and thus many regular services such as snack bars etc.